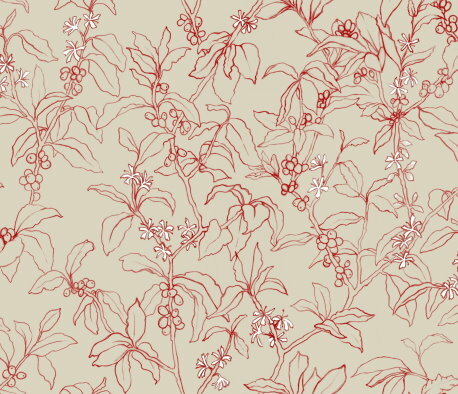 Arabica Cherry Details (in Smoky Blue, Warm Grey and Mineral Blue). Arabica coffee: a perennial breakfast favourite and perennial flowering tree. Have a look at some truly wonderful perennial illustrations here. Peruse and vote for your favourite coffee designs here. Read about bird-friendly, shade-grown and organic coffees here. What a stunning pattern!! I am so glad you came by my blog...love your work!! Such lovely comments, especially from talents such as you two!